Powerful representation for victims of mesothelioma, talcum powder, and pharmaceutical/product liabilities. Lindsey Cheek is the founding member and managing attorney at the Cheek Law Firm, LLC. She earned her J.D. from South Texas College of Law Houston, and her B.B.A. from the University of Houston. Ms. Cheek successfully passed the bar admissions exams for State of Louisiana, State of Texas, State of Pennsylvania, and Northern District of Texas. She is also admitted to practice in numerous federal district courts around the country. 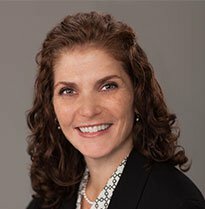 After earning her Bachelor in Business Management from Louisiana State University and her Juris Doctor from Loyola University New Orleans, Jeanne went on to represent personal injury victims at one of the largest personal injury law firms in the United States. 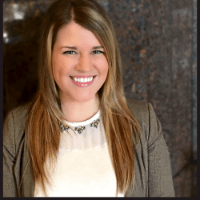 Now, Jeanne uses that experience to provide our clients with the one-on-one attention their cases deserve. Going through the process of litigation can sometimes be a little intense. However, we at the Cheek Law Firm, LLC do everything that is necessary to prepare you for this process. We will meet with you personally and talk with you at great length to give you all of the information and support you will need. We want you to feel comfortable and at ease, and we make sure that we reach that goal. Every case has its own unique variables. We will take a very thorough look at your case, including the evidence and the relevant laws and legal information. We will analyze it and then explain the important parts to you. This way, you will know exactly what is going on for your case. Depending on your particular case, there will be certain laws and other legal information that will apply. We will take care of all of the research needed to handle your trial, and we will educate you on the information that you need to know. This way, there will be no surprises for you, and you will have a solid understanding of the key information for your case. We arm you with knowledge and confidence. Knowledge is critical for success in law. With our expertise and experience, we will make sure that you have every single piece of critical information that you need to optimize the knowledge required for your case. Having this knowledge will give you confidence while going through the litigation process. An attorney you can put your trust in. Lindsey Cheek has recovered millions of dollars in settlements for her clients. She has the experience and the skillset to get the job done. In addition to having a proven history winning asbestos exposure cases, Ms. Cheek also spent three years at the Harris County District Attorney's Office. Both her experience at this office and her experience representing clients diagnosed with mesothelioma in private practice has given her a strong and balanced perspective of the law. To hire Lindsey Cheek is to hire someone who is a true expert in her field and who has demonstrated time and time again that she can win major asbestos lawsuits. Lindsey is compassionate for everyone who has received a serious injury or illness and will handle your case with care. Many of our cases are referred to us by reputable law firms. The Cheek Law Firm is currently accepting referrals from law firms for cases involving mesothelioma, lung cancer, pharmaceutical liability, product liability, premise liability and the opioid crisis. Lindsey Cheek is a member of the Louisiana State Bar Association. She has been practicing law in the state for years. 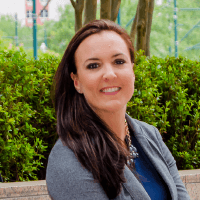 Not only is she highly familiar and comfortable with the nuances and particularities of Louisiana state law, but she is also well versed in the Napoleonic Code, or old civil law, which is still prevalent in Louisiana. It is also important to know that every other state in the country uses the Uniform Commercial Code. However, Louisiana does not. It uses its own code, and Ms. Cheek is extremely well informed in this area. To be a member of the Louisiana State Bar Association is not an easy feat, and not all attorneys can accomplish it.